Vincent M. Kickirillo is a managing director at VMG Health and is based in the Dallas office. He specializes in providing financial, valuation, and transaction advisory services to clients in the health care industry. His clients include hospitals, health systems, ambulatory surgery centers, imaging centers, radiation therapy centers, and other healthcare entities. He has also provided expert testimony related to the value of companies in the healthcare industry. 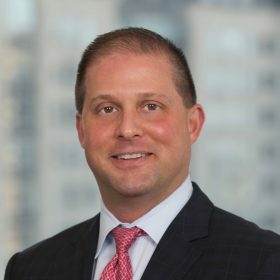 Prior to joining VMG Health, Mr. Kickirillo worked as a director for FTI Consulting, Inc., a director in KPMG’s valuation and litigation practices and as a staff and senior analyst in the financial advisory services practice at Ernst & Young. In those roles, Mr. Kickirillo has provided advisory services to firms in various industries, including health care, manufacturing, retailing, distribution, technology, telecommunications, financial, internet, and professional services. He has provided professional services for the purposes of merger, acquisition, divestiture, management planning, tax planning, litigation, and bankruptcy. Mr. Kickirillo has provided testimony regarding valuation and other financial issues. He has extensive experience in valuation of businesses; financial securities, such as common stock and derivatives; intellectual property, such as patents, trademarks and trade names; and other specific assets. Mr. Kickirillo received a Bachelor of Business Administration from The University of Texas at Austin, and a Master of Business Administration from Southern Methodist University. He holds the Chartered Financial Analyst (CFA) designation, and is a Certified Valuation Analyst (CVA).